When parents are separated and one wants to take a child to visit Israel, the other parent often worries that the child will not be returned, especially if the taking parent is Israeli or has expressed a desire to live in Israel. Such concerns should not be brushed aside. Obviously, if the taking parent is, for example, a homesick expat Israeli or a Jew who yearns to make aliyah to Israel or a person whose own parents live in Israel, the concerns of many left-behind parents will normally be greatly enhanced. Both Israel and the United States are parties to the Hague Convention on the Civil Aspects of International Child Abduction. This treaty requires that children who are wrongfully retained away from the country of their habitual residence must normally be promptly returned to that country. 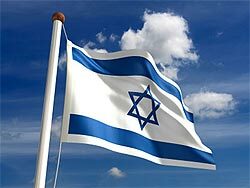 Israel Indeed, any lawyer handling international child custody cases will be well aware that many of the major U.S. decided cases on the Hague Convention are cases with a significant Israeli connection. However, the Convention does not work automatically and children are often not returned. The left-behind parent must establish certain matters before the court in the foreign country and the taking parent may rely on any of the six exceptions (sometimes described as defenses) to the Convention. Hague cases are invariably stressful to both parents, and they can be extremely expensive. Furthermore, some parents may take advantage of some of the unique features of the Israeli legal system once they have successfully taken a child into Israel. In particular, they may obtain a “stop” order that will prevent a child from being taken out of the country. Such orders are routinely issued and they incentivize a parent who wants the child to remain in Israel – either because of a belief that it would be better for the child to live there or in order to create leverage over the other parent in financial or child custody negotiations - to delay the custody case for as long as possible. If the taking parent commences a custody case in an Israeli Family Court, such an order may even be issued ex parte (without notice to the other party) and transmitted immediately to the border police at all airports and border crossings. Or if the taking parent commences a divorce case in a religious court in Israel, a stop order may be issued by that court. It can be difficult, expensive and nerve-wracking to try to overturn a stop order. It often provides powerful leverage to the taking parent who might be using such tactics with the left-behind parent. We often work with parents in the United States who want to prevent their children from being taken to Israel because of such concerns or who want to create the strongest possible documentation and court orders that will authorize visits on terms that will drastically minimize the risk. There are various steps that can and should be taken to substantially reduce the risks.